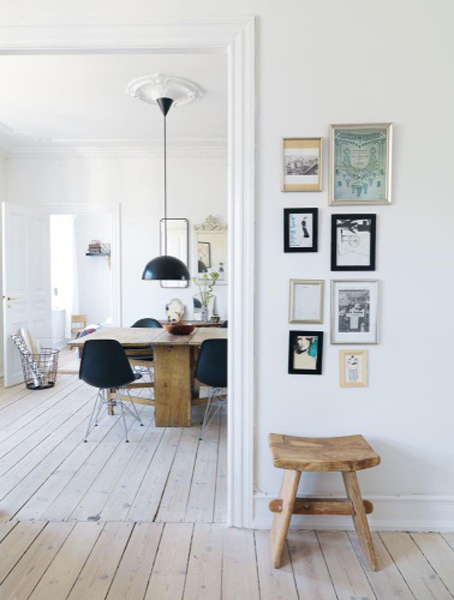 Lots of white with simple contrasts + beautiful wooden floors. Photo by Karina Tengberg for Boligmagasinet. Our new old floors will be a bit like these. I've bought a similar lamp (or maybe it's actually the same one?) at IKEA for our hallway.